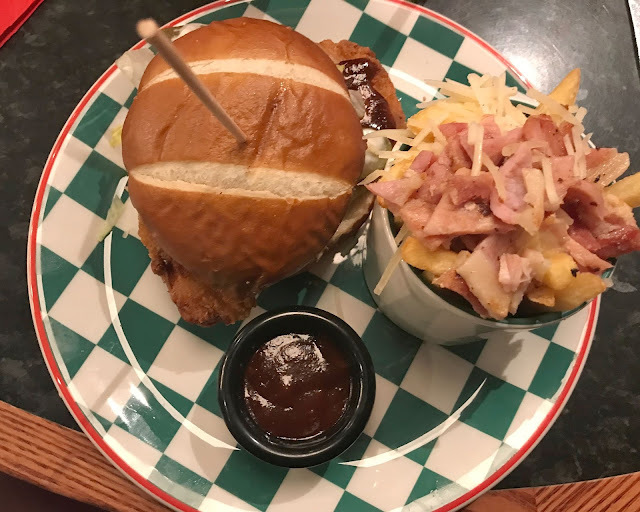 At the start of the month, we were invited along to Frankie & Benny's in the Metrocentre to try out the new menu. As a family, we really like Frankie & Benny's as it has something for everyone and the kid's meals are great value (£4.99 for two courses and a drink). It was nice to spend time together all five of us as it is rare we are all together these days as my teen is always out with friends. Both my girls returned to school at the start of the month, my teen is now in year 11 and in her final year at school. She has no idea what she wants to do when she leaves school but hopefully, she will be off to do her A-Levels next year (are they even still called that?). Sophia started year one and is in a class with her cousin which she is happy about. She seems to like her new class and is happy to be back at school and has settled back in well. Which leads me on to Jacob and he started full-time school and is now in reception. For two weeks he went for two hours in the afternoon but now he is there full-time and he really seems to be enjoying himself. He really likes his teachers and classroom and having his lunch at school, he is in a class with lots of friends from nursery and seems to have settled in well. I was so worried about him starting as he is one of the youngest in his class but he has settled in so much better than we could have hoped for. This month Sophia started Rainbows in the next village which she really seems to be enjoying. A few of the girls from school go and she loves all the crafts that they do each week and counts down the days until she goes back. 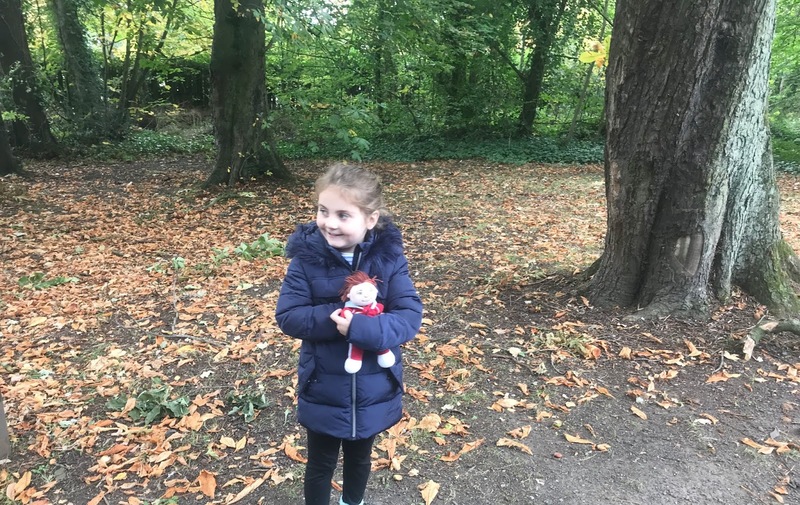 This week we have had the Rainbow doll Olivia come to stay with us. I recently watched Bates Motel on Netflix after seeing so many people recommend it and I loved it! I have never seen the Psyco movie that it is based on and I don't normally like horror type things but I loved this series. I binge watched all of the series this month and it was one of the best Netflix series I have watched. This month we have started Christmas shopping, I want to try and be prepared this year. We have made a start getting bits in for the little two, Sophia just wants Barbies and L.O.L's this year and Jacob wants Superheros and Turtles and Chloe wants a new phone and make-up. The girls have already written their own Christmas lists, it was so nice watching Sophia writing her own Christmas list for the first time. Now the children are all at school and the other half is working Monday to Fridays we have been making the most of our family weekends. We haven't done a lot as the children have had parties to attend most weeks but it has been nice just spending time together. Sundays are always lazy days at home having a roast and watching films together, such a simple thing to do but something we all enjoy. I love autumn, it is definitely one of my favourite seasons (winter is the other). I love wrapping up warm, in cosy jumpers and boots, staying indoors with the heating on and enjoying roasts and stews for tea. I have never been a fan of summer or spring and much prefer the colder weather and being cosy at home on the darker nights. This might sound strange but I am loving cleaning at the moment, there is something so satisfying about giving the cooker a good clean and the house being nice and tidy. Now the children are at school I am finding it so much better to keep on top of the housework and I actually enjoy it. At the weekend we went to a wedding fayre at the racecourse, not far from where we live. We have most of the big suppliers booked for our wedding but we still need outfits, rings and all the finishing touches. It was nice to browse the stalls and get some ideas as we still have so much to do for the wedding and it is only 9 months away now! So those are some of the things that I have enjoyed this month. How was your September and what was your highlights?